On behalf of admin of JML Law, A Professional Law Corporation posted in Bicycle Accident on Friday, Jun 30 2017. Although sometimes you may feel like Gino Bartali or Jacques Anquetil, you must remember that even champions use caution. It gets pretty busy out there. Remember obeying traffic laws may not be enough to keep you safe. Even when following the law you may be exposing yourself to dangerous situations that may provoke an accident. Bike crashes are not the best of stories to witness. 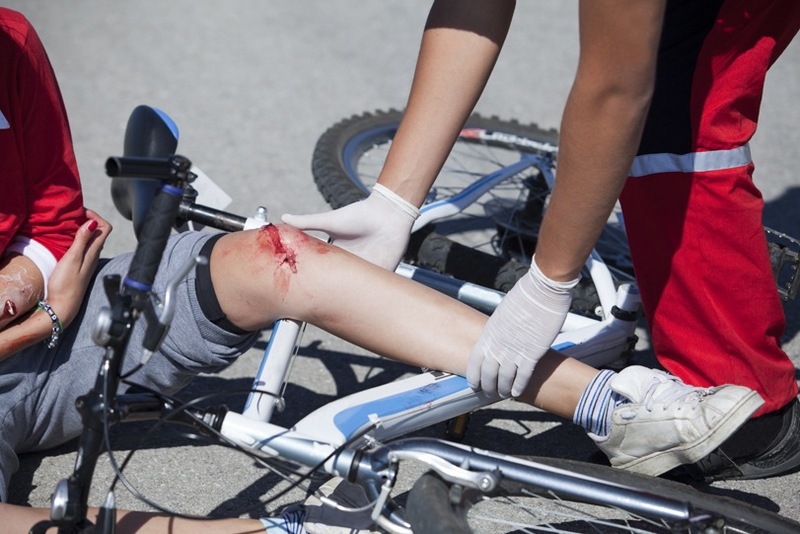 Contact a Riverside bicycle accident attorney after a bicycle accident. Unless it’s extremely necessary, it’s best if you avoid busy roads and take the usual routes. If there are are fewer cars even better. Avoid traffic. As a cyclist, you have a right to the road but some people may not respect that. After you learn your route you may be surprised how easily you can get around and you may even find safer alternative routes in your neighborhood. Busy streets are only for crossing, not to linger on them. Some cyclists make the mistake of riding without lights. There are rear red blinkies you can purchase at an affordable price. Headlights can also encourage safety. Fortunately, the current LED designs come equipped with batteries that last way longer than the old ones. This may not apply to all circumstances but it’s perfectly legal and the right thing to do. If you’re riding slower than the traffic you take the bike lane unless there are some hazardous conditions present, you turn left or getting close to a place when rights turns are not permitted. You don’t want surprises on the road, especially when there are other vehicles involved. Whether right or left, they need to know where you are heading. If you move left, point your left arm and if you move right, point your right hand. Look around before signaling. You don’t want your arms to be exposed to danger. With the availability of technology, it’s very tempting to get distracted on the road by listening to music, texting or answering a phone call while riding. Think twice before making that move. It could save your life. Distracted driving accounts for more accidents than hairs in your head. The most distractions you avoid, the best. Stay focus. You ride as if cars don’t see you because many times they don’t. In other words, if cars notice your detrimental riding skills chances are you will be hit. It should come as second nature. For example, you can signal a left turn but it’s even better if you do it when there are no vehicles behind you. But if there are cars behind you, make sure they see you before making a turn. Running red lights is never a good idea but if you do, apply the invisibility principle. Think about who could hit you if they didn’t see you. Don’t rely on vehicles to see you. If you have been involved in a bicycle accident and you are not sure what to do, consult with a Riverside bicycle accident attorney about your legal options.